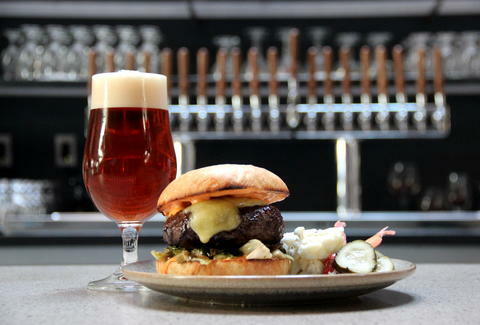 One of the city's best beer bars is also now one of the city's best off-menu-burger bars. Available in limited quantities and only at the bar itself (not tables, sorry), The Abbot's Cellar's new secret burger is made from ground short rib, topped with harissa aioli, lettuce, and Valley Ford's Highway 1 cheese, all on an Acme pan de mie bun. Plus, it's garnished with IPA pickles. And vegetables. But all the other stuff is pretty great, so, don't worry. Joe Starkey is Thrillist's San Francisco Editor, and amazing burgers like this certainly aren't helping him get bikini-ready. Follow him on Twitter.